FRANKFURT -- Volkswagen Group will offer software updates for 4 million diesel cars in Germany to reduce emissions. 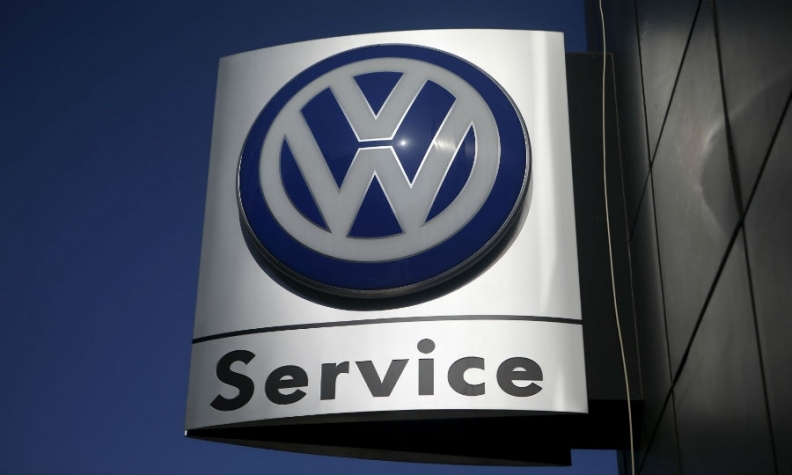 The planned fixes, similar to proposals from Mercedes-Benz, include voluntary software updates for roughly 800,000 cars on top of the scandal-related recalls VW has already announced, a company spokesman said. The total tally of mandatory recalls and voluntary fixes stands at about 12.4 million diesel vehicles across VW Group worldwide. VW CEO Matthias Mueller made the offer at a meeting with German government officials to discuss ways to avoid diesel bans in major cities. Automakers in Germany are being pressed by regulators and politicians to clean up their diesel engines. German automakers plan to meet with Chancellor Angela Merkel’s government on Aug. 2 for a so-called Diesel Summit to discuss the future of the technology, which employs tens of thousands of people in Germany. "The view that the relationship between the auto industry and politics may have been a bit too close cannot be wrong," German Environment Minister Barbara Hendricks said following talks with Mueller at VW's Wolfsburg headquarters on Thursday. VW has been in the cross hairs of authorities since cheating revelations in September 2015 sparked intensified scrutiny of harmful NOx emissions from diesels. The crisis highlighted the gap between test results and real-world pollution, prompting cities around the world to consider bans to improve air quality. Demand for diesel vehicles in Europe, where the technology accounts for nearly half of car sales, has since declined. The battered reputation of diesels threatens Volkswagen and other German automakers, which are relying on diesels to help meet stricter carbon dioxide emissions targets while ramping up electric-car development. Diesel cars have better fuel economy than gasoline models, so emit less CO2. Daimler said on June 18 that it is voluntarily recalling more than 3 million Mercedes diesel cars in Europe for an update that will reduce their NOx emissions. Audi said it has launched a recall for up to 850,000 diesel cars to update vehicle software controlling emissions. BMW said it sees no need for voluntary recall of diesel cars ahead of the Aug. 2 summit.